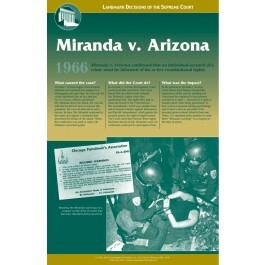 This educational poster focuses on the landmark Supreme Court case known as Miranda v. Arizona, one of the most important and influential decisions of the high court. It clearly explains the events that led up to the case, the court's decision, and its impact on our nation. 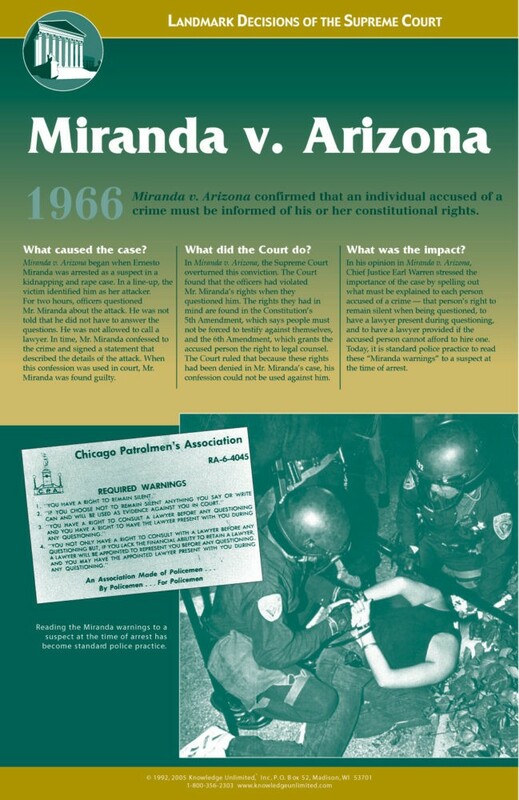 The Miranda v. Arizona decision of 1966 confirmed that an individual accused of a crime must be informed of his or her constitutional rights. This poster is a great way for students to learn more about a point of law that they have probably seen used in TV shows and movies.